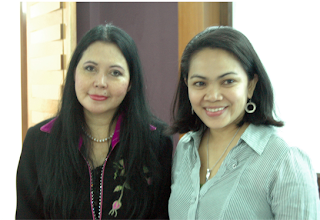 Met this beautiful lady on 10 of October.. a PR and Branding consultant for 1nita workshop I've attended. She looks so vibrant even though she's not feeling well that day..wearing her oriental look blouse with embroidery of roses on blouse shoulder, enthusiastic sharing knowledge and tips. She seems age gracefully with a long hair claimed her age is 50. WOW... I want to be exactly like her if ever I could live that long, full of energy. HKL - how life was so fragile...looking at her stiffed and hopeless was something unexpected and unimaginable ...How I wish and feel she will survive. A total opposite than the person I got to know. I read Yassin beside her...only God knows what she really felt at that moment... She had leaukimia that spread aggressively just within 2 months. How very sad..for someone that really take care of what she ate and live healthily. Still remember tips given by her to eat guava that good for skin..and consume drinking water by looking carefully at the PH level. Got to rush back to fetch Syamil from school, on my way driving back received sms said that she's gone. Shhhgghhh...Innalillah....Rest in peace Kak Rose...Al fatihah.